Karen Shaw, Professional Parent! A position she has held since 1979 (and never a day off ). She has experienced many parenting dilemmas, nightmares and challenges as well as the joys, pleasures, amazing sense of pride, gratitude and unconditional love that come with being a parent. Karen is based in Manchester United Kingdom. 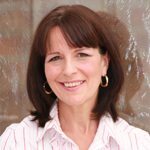 Qualified as an NLP (Nuero Linguistic Programming) Master Practitioner and Hypnotherapist, trainer and presenter, Karen has been passionate about coaching parents since she discovered the skills, tools and techniques she learnt that helped change her relationship with her three sons for the better. Sons with disabilities, physical and psychological, medical conditions and labels; Asperger’s syndrome, ADHD, dyslexia and social and behavioural difficulties. As a single parent since 2001 she has discovered many ways of creating a fulfilling, loving relationship with her children by putting together elements from Personal Development, NLP, Hypnotherapy, energy therapies, Hooponopono, Heartmath and living a ‘heart centred’ life.